One of video gaming's most infamous and hilarious moments in history has been captured in a documentary set to be released exclusively through Xbox TV on the Xbox One. E.T. for the Atari 2600 has become something of a folk tale for video gamers. It's a game so horrible that nobody purchased into its multi-million unit production, and the creators had to entomb unwanted copies in cement and bury it in the New Mexico desert. It's a tale which needs the best of the best to fully uncover. And that's just what the duo of famous producers can bring to this exciting project. This is going to be the real deal with two-time Academy Award winning producer Simon Chinn, of Searching for Sugarman and Man on Wire fame, and Emmy-winning producer Jonathan Chinn taking the reigns. The two will explore the history of how such a horrible game came to be and what led Atari to do the deed. Director Zak Penn is a self described "avid gamer" who didn't hesitate to accept the task. "When Simon and Jonathan Chinn approached me about this story, I knew it would be something important and fascinating," he said. "I wasn't expecting to be handed the opportunity to uncover one of the most controversial mysteries of gaming lore." Documentaries capturing the history of video games have really taken off in the last few years. King of Kong and Indie Game: The Movie are just two of the fine examples we have seen emerge with the rise of documentaries. Could we have yet another classic in our midst? "Jonathan and Simon Chinn are the perfect team to spearhead this series for Xbox," added Xbox Entertainment Studios Boss Nancy Tellem. "They are consummate story tellers and they plan to match their creative sensibility with the best talent in the industry." 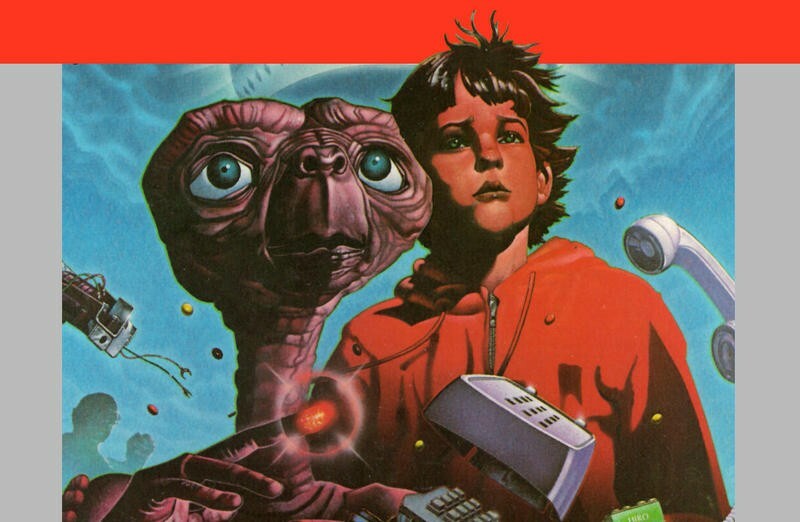 This isn't the first film to tackle the topic of E.T., either. Filmmaker James Rolfe, more commonly known as The Angry Video Game Nerd, took his Internet clout to Kickstarter and funded his indie movie, The Angry Video Game Nerd: The Movie. His foul mouthed titular character uncovers a government conspiracy surrounding the landfill. I've never had the misfortune of playing E.T. because my family owned a Colecovision during the dark ages of gaming, but from what I've heard, its horribleness is often blatantly overstated just for a fun urban legend. It's bad, but not the worst thing ever. The documentary will launch later in 2014 after shooting begins in January. Maybe I'll be convinced to pick up an Xbox One by then.